One of the main events in November in Puerto de la Cruz (Tenerife) is dedicated to the great Queen of mystery and murder, in a week long event that is comprised of several activities. Agatha Christie has first visited Tenerife 90 years ago, when she fell in love with the amazing climate and the beautify of the p lace. Puerto de la Cruz is celebrating the Queen of Crime Novels along with Brtish writers, Spanish novelists and many more guests that will participate in the Agatha Christie International Festival. 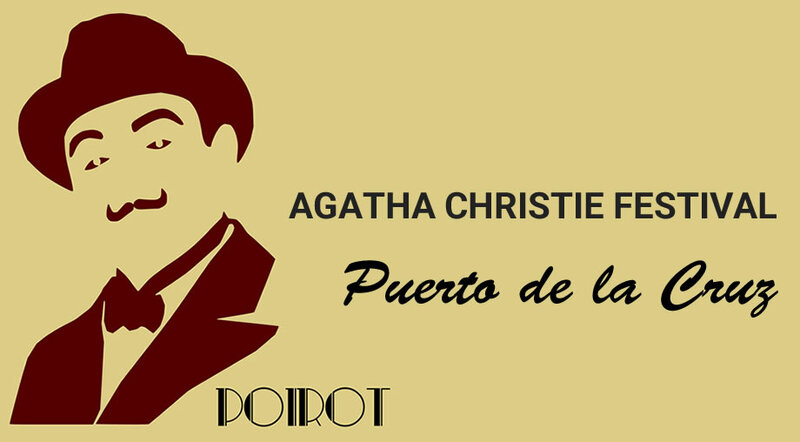 In 2017 the city of Puerto de la Cruz will celebrate the 6th edition of this event dedicated to the famous Agatha Christie. The festival, which will last for several days, will include exhibitions, a concert, talks with experts about the work of Agatha Christie, a guided walk tour - "A walk with Agatha Christie" and of course a cinema night (in English). You can see the entire schedule of the event here.